Dr. Workman is a Professor Emeritus of Marketing at Creighton University. Dr. John P. Workman, Jr. is a Professor Emeritus of Marketing at Creighton University, a Jesuit university in Omaha, Nebraska. His research interests include new product development, marketing organization, qualitative research, academic integrity, and the economics and marketing of higher education. 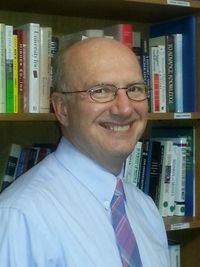 His teaching interests include marketing research, marketing strategy, and principles of marketing. He is one the most widely cited scholars at Creighton, with over 4,500 citations to his publications. University of Virginia (Darden School) Charlottesville, VA M.B.A. This page was last edited on 22 October 2017, at 15:36.